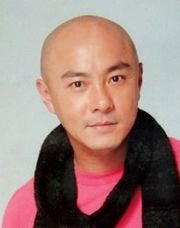 Dicky Cheung Wai-kin (born 8 February 1965) is a Hong Kong actor and singer. He entered show business in the early 1980s, signing a contract with television station TVB. He won the third annual New Talent Singing Awards in 1984. Up until the mid 90s, Dicky struggled for many years working as a low-paid actor, singer, and appeared occasionally in films. It wasn't until his brilliant portrayal of the Monkey King character in the 1996 TVB adaptation of the classical Chinese novel Journey to the West that his popularity began to skyrocket. A sequel to the TV adaptation was planned, but due to a contract dispute with TVB, Cheung left before production began. Benny Chan Ho Man took over the role of the Monkey King in the sequel. Cheung then went abroad to Taiwan to continue his career. He has appeared in many Taiwanese television productions since then. In 1999, TVB's rival station ATV acquired the Hong Kong broadcasting rights to his Taiwanese television series Young Hero Fong Sai Yuk. Cheung played Fong Sai Yuk, a character also portrayed by Jet Li in his film Fong Sai Yuk. The show was an instant hit in Hong Kong, and managed to gain much higher ratings than TVB's own television series. The TVB series showing at that time was Dragon Love, starring Benny Chan Ho Man, who replaced Cheung in the Journey to the West sequel, Journey to the West II. In 2007, Dicky Cheung married Zhang Qian in Beijing, and had a separate wedding ceremony in Boracay in 2009. Prior to his current marriage, he was involved in brief relationships with the actresses Elvina Kong and Jessica Hsuan . He has said that he would like to eventually leave the acting business and seriously consider doing something more meaningful in life such as volunteering to give back to the society. Dicky's most notable performance that made him famous was his portrayal of the Monkey King in the 1996 TVB adaptation of the classic Chinese tale Journey to the West. As well as being the lead character, Dicky also sang the theme tune as well as many other songs throughout the series. This series was very popular during its run on TVB Jade, it was even dubbed in English and broadcast on TVB Pearl, the only TVB series to receive this treatment to date. Dicky was also due to play the Monkey King in the sequel. However, due to a dispute regarding the contract, the role was given to Benny Chan Ho Man. Yet another TV adaptation of Louis Cha's Wuxia novel The Deer and the Cauldron. Cheung played the anti-hero Wai Siu-Bo, a character previously portrayed by Tony Leung Chiu-Wai, Stephen Chow and Jordan Chan in many television and film adaptations. In 2001, Andy Lau's NMG production company produced another television adaptation of Journey to the West. Cheung was given a chance to once again portray the role that made him a household name. The series was broadcast in 2002 on TVB. Although it received high ratings, many felt it was not as good as the 1996 version.